At the end of last year we touched upon our new studio and showroom which was due to launch imminently, and we’re thrilled to share with you its official arrival. Being such an important project for the House of Grey brand, we wanted to get it just right, taking the time to find a space that represented our values: wellness, thoughtful design and natural materials. We feel Archway Depot communicates all of this perfectly. Located in central London, Archway Depot sits alongside creative hubs such as Central St Martins and The Bomb Factory Art Foundation. North London has been House of Grey’s home since the beginning, and building upon the idea behind our In The Neighbourhood exhibition in September, we were keen to develop the creative spirit of the community. After lots of location scouting we were initially drawn to the Archway area by the varied and inspirational architecture: Architect Daniel Libeskind’s striking Orion Building and American / English architect Neave Brown’s Brutalist building on Winscombe Street are just two that caught our eye. Cementing our decision was the fact that we’ve noticed a real shift in the area over recent years, businesses and people we follow and admire, are moving to the area and there is the sense that something exciting is about to happen. In its previous life Archway Depot was a saw mill, nowadays the four-storey 19th century building has been thoughtfully renovated to provide the perfect working / shoot location. The space has a dual purpose, being a studio and showroom for House of Grey while also functioning as a photographic studio under the Archway Depot brand. Our main goal with the space was to create a workplace which feeds creativity in all its forms but most importantly creates a sense of calm and well-being for us and our clients. 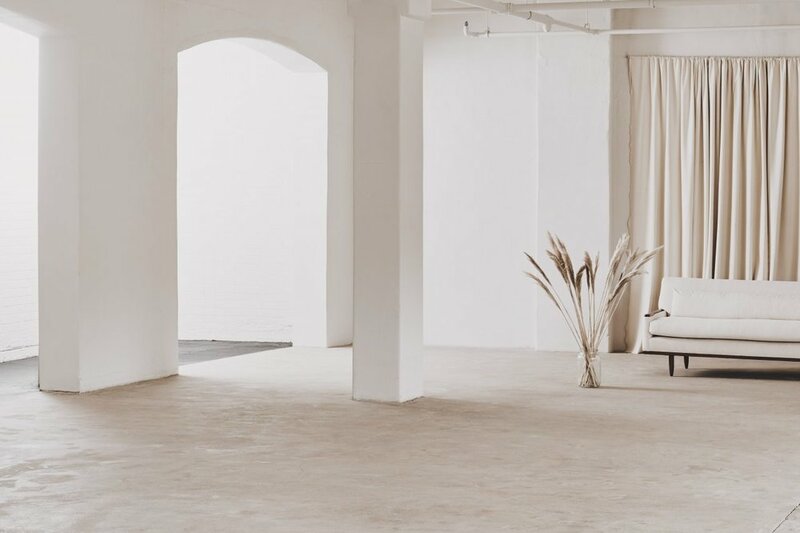 It’s simple things such as the natural light, the large open space of the main studio (over 3,000 sq ft+) and the carefully selected materials (the raw concrete floor sealed with a wax) and white-washed curved wooden walls that help us achieve this goal. Since the launch we have been collaborating with clients, old and new, to host shoots, events and meetings. Exciting and innovative projects which are both work-related and those which seek to develop the House of Grey values – we recently hosted a gong bath with Sound meditation within the space. 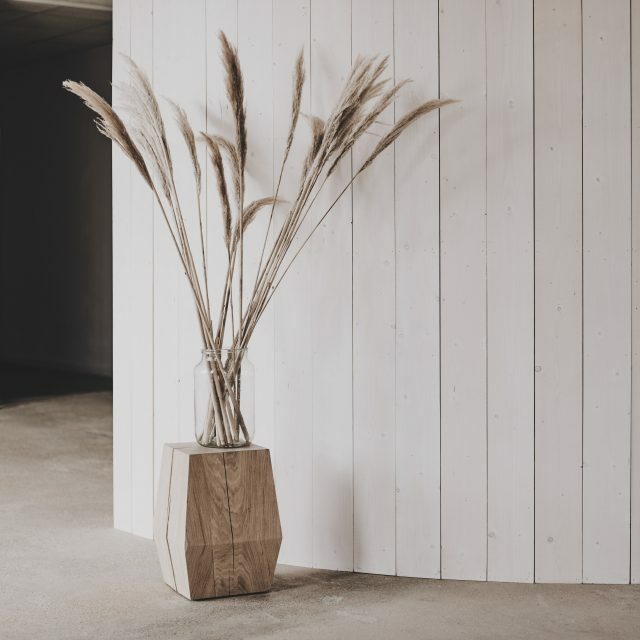 The range of clients who have so far used the studio space, include: Matches, French Connection, John Lewis, Forbes, Elle Decoration UK and Living Etc. We look forward to seeing what the coming months bring.